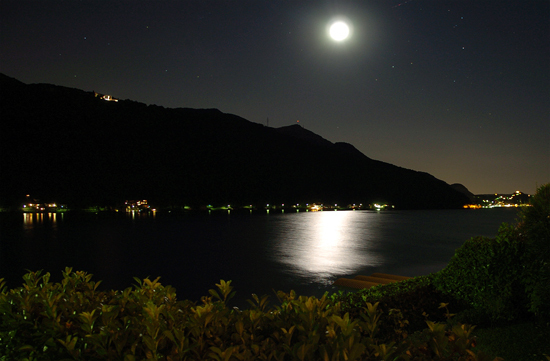 Ticino is also a great place to spend your winters, due to the mild climate. It does occasionally snow in Morcote in the winter. Even then it is a pretty picture from the Residenza. 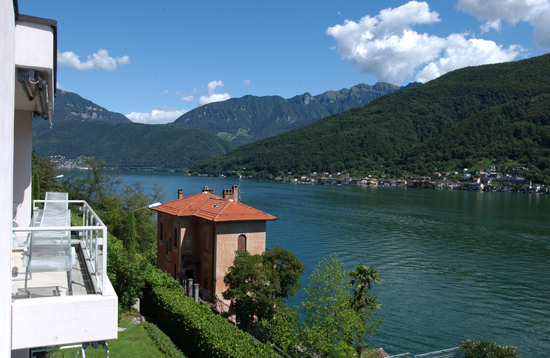 In Lugano there are an average of 2100 hours of sunlight per year with an average of 5.8 hours of sunlight per day. The dryest month is January and this month also has the lowest average temperature of -2 °C. In July & August the highest monthly average high temperature of 27 °C occurs. In the winter when you wake up in the morning the sun will shine all the way through the apartment. 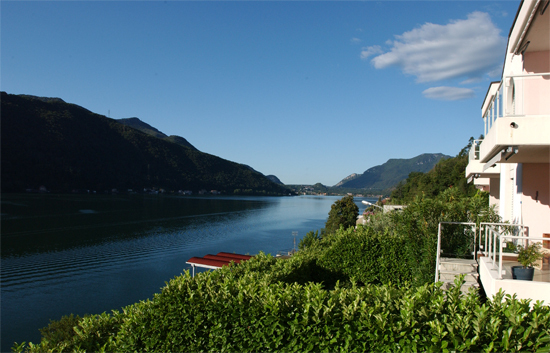 View from one of the apartments in Residenza La Costa on the "Lago di Lugano" with a view of the "Monte Generoso", the highest mountain in the area, and the "Monte San Giorgio" that is listed as a UNESCO world heritage site due to its abundance of well-preserved reptile and fish fossils. Towards the other direction you can see Italy (Porto Ceresio).